The definition of beauty is not only limited to a youthful face or long shining hair, complete beauty also include hygiene and care of the entire body, most importantly the feet. Our feet are the most ignored part for the body when it comes to skin care which is most exposed to dust, dirt and water. All these factors lead to excessive dryness of the skin of your feet. And lack of moisturizer and proper exfoliation can lead to formation of dead skin on your feet which cause painful cracked heels. Some of the common causes of dead skin on your feet include use of harsh soaps, standing for long hours, using improper footwear and being overweight. In this article, we have listed not one but twelve easy and effective home remedies for dry cracked feet that will not only remove dead skin cells from the feet but also moisturize it and cure painful cracks. 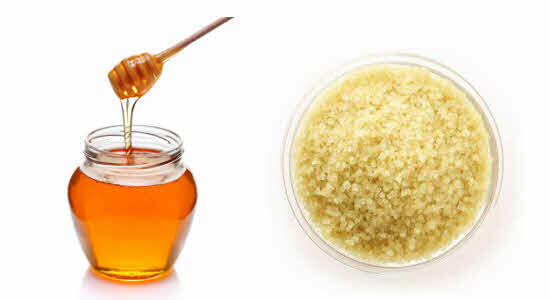 Oatmeal scrub is not only beneficial for removing dead skin cells from skin, it is one of the best home remedies for cracked heels that helps to sooth and moisturize dry feet cracked heels. 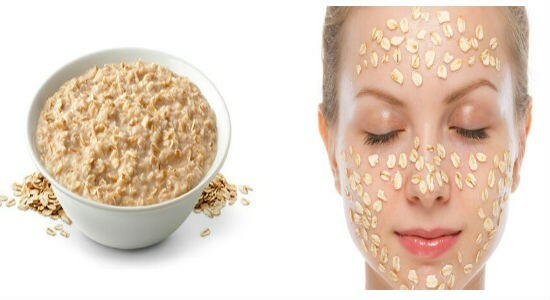 When mixed with water, oats creates a thick and sticky mixture that forms a layer over the skin and helps to trap moisture in the skin. 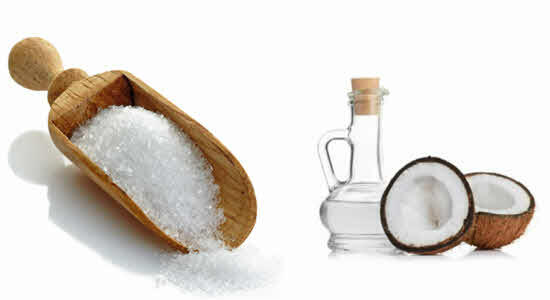 The combination of granulated sugar and coconut oil makes a power-packed cracked heels treatment. The sugar granules help to remove dead skin cells and dirt from the feet and the heels while the healthy fats in coconut oil nourish the skin, hydrates and moisturizes it and heals the cracks and broken skin on the heels. Vitamin C in lemon essential oil nourishes the skin cells and promotes cell regeneration. The coarse texture of ground coffee makes it an excellent skin exfoliating agent that helps to remove dead skin cells and layer of dirt from this skin and helps to develop soft and smooth feet. Olive oil is a potent source of antioxidants such as vitamin E, polyphenols and phytosterols that heal the skin from within. 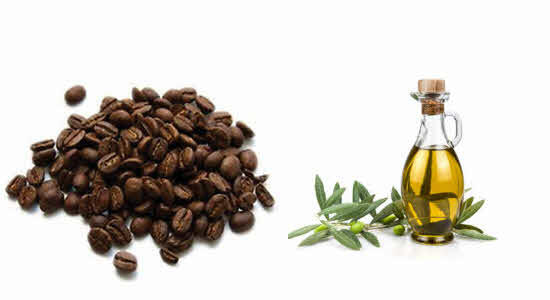 The combination of coffee and olive oil makes an amazing cure for cracked heels and dry skin on feet. The coarse texture of sea salt makes it an excellent ingredient for exfoliating treatment that helps to get rid of cracked heels and dry skin on feet. 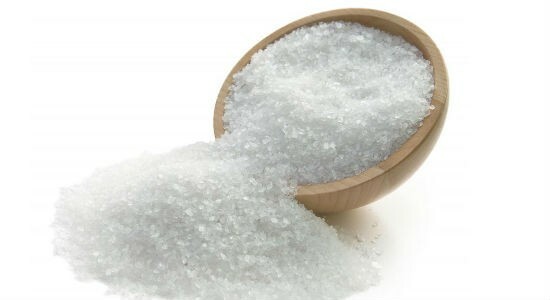 Sea salt helps to remove the layer of dead skin cell of the feet and soften the tough skin on the heels. But sea salt is a bit harsh so it is best to tone down the harshness by mixing it with some sweet almond oil, which additionally moisturizes and hydrates the skin on your feet. 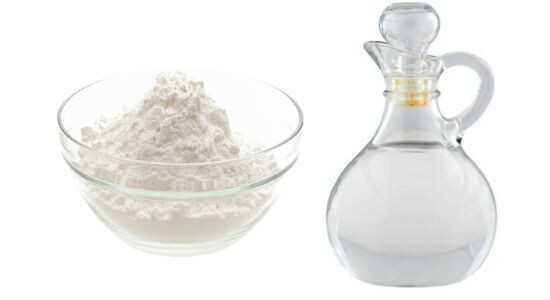 Baking soda is not only an effective treatment for pimples and acne; it also helps to get rid of dead skin on feet thanks to its powerful exfoliating property. It helps to remove dead skin cells and balances the pH of the skin so that it does not become excessively dry. The antibacterial and antifungal properties of baking soda also help to cure painful cracks and infections in the heels. The combination of tea tree oil and apricot oil in this scrub helps to soften the hard and coarse skin of the feet. Anti-inflammatory properties of tea tree oil helps to reduce the risk of infections and fungus in the feet and it also helps to get rid of food odor. Apricot oil enriches the skin of the feet and helps to soothe and heal dry, damaged skin because it is readily absorbed into the skin pores. 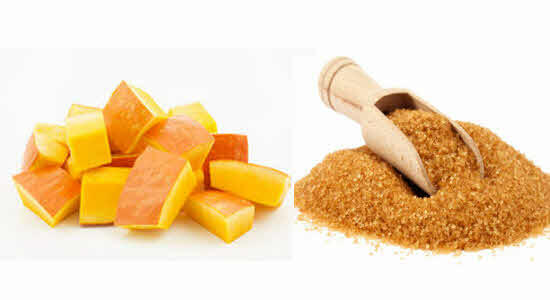 The mixture of pumpkin puree and brown sugar is the best way to get rid of hard skin on feet. Pumpkin is a potent source of skin-friendly vitamins C, E, B-vitamins along with beta-carotene that supplies nourishment to the skin and helps to improve blood circulation that increases cell turnover and cell renewal. Brown sugar is a natural humectant that locks moisture into the skin while glycolic acid in brown sugar breaks down layers of dead skin cells. 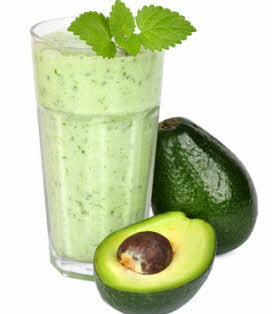 A nourishing avocado scrub is the ultimate answer to the question of how to get rid of dead skin on feet. The moisturizing monounsaturated fatty acids in avocado help to maintain moisture in the top-most layer of the skin so that it remains soft and hydrated. 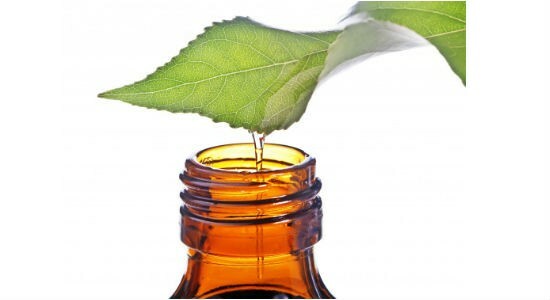 Omega 9 fatty acids regenerates the damaged skin cells around the heels and reduces excessive dryness. Strawberries are a rich source of antioxidants, vitamins and minerals that nourish the skin, hydrate it and give it a refreshing appearance. 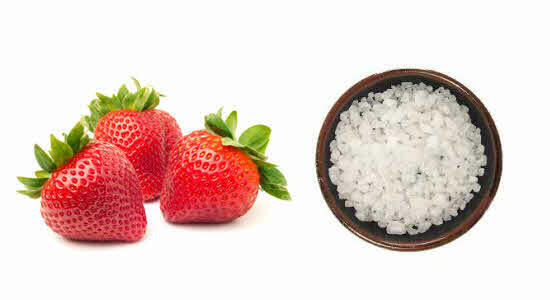 Strawberry also helps to get rid of dead skin cells and lighten dark spots on the feet. Rock salt works as a strong exfoliating agent that helps to remove the stubborn hard layer of dead skin that forms of the heels. All these features make strawberry and rock salt scrub one of these most effective home remedies for dry feet and cracked heels. Both cinnamon and cocoa are loaded with powerful antioxidants and are frequently used in skin care products, but how to heal cracked heels with cinnamon and cocoa? 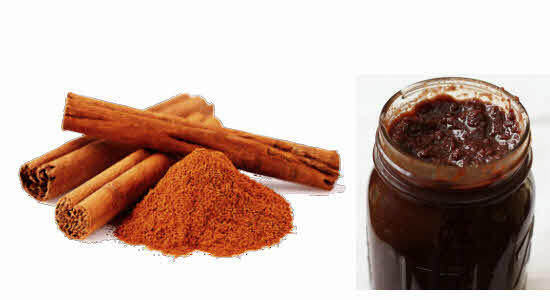 Well, cinnamon is a wonderful exfoliant that removes dead skin cells and soften rough skin of the feet. The antioxidants in cocoa helps to repair damaged skin cells and provide a rejuvenated appearance to dry and rough skin of the feet. 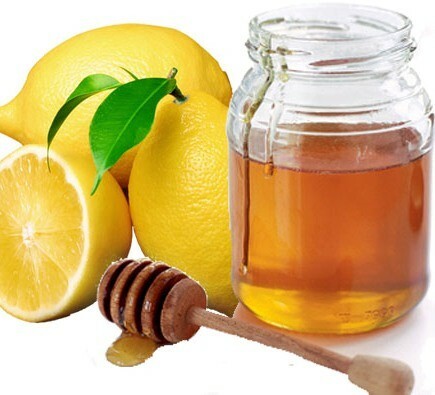 Honey are lemon are two popular ingredients for natural skin and hair care, but how to get rid of cracked heels with this combo? Well, honey is known for is natural moisturizing and humectant property that hydrates and moisturizes the dry skin of the feet. Lemon juice has natural exfoliating property that helps to break down layers of dead skin cells and promote cell regeneration. 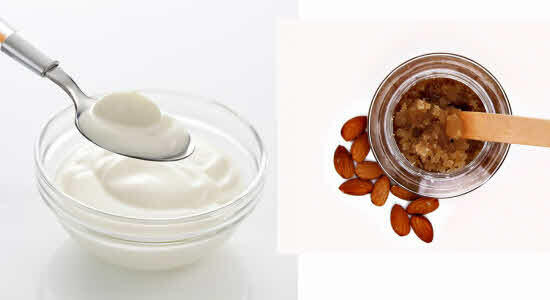 The combination of yogurt and almond is not only beneficial for skin care, it is also an effective answer to the problems of how to get rid of cracked heels. Lactic acid in yogurt exfoliates and moisturizes the excessively dry skin on your feet and makes it smooth. The coarsely ground almonds helps to remove the layer of dead skin cells from the feet and helps to increase the softness of your feet. Try out some of these easy homemade foot scrubs to know which one works best for you and get rid of cracked heels and dry skin naturally within a few weeks.